Ear pressure can have a variety of causes, but it is often the result of a problem with the Eustachian tube, which is an opening that runs from the back of the nose and throat to the middle ear. Ear pressure occurs when this tube is blocked, swollen, or collapsed. This tube works to ventilate the middle ear space by regulating air pressure, so when it is block, swollen, collapsed, or improperly functioning, ear pressure can build and become uncomfortable. FastMed Urgent Care is open 365 days a year with extended hours. Our highly-trained medical professionals are available to treat your non-life-threatening conditions whenever an illness, injury, or infection arises. Come into one of our walk-in clinics, and we will strive to get you the treatment you need within an hour. When the Eustachian tube is blocked, swollen, or collapsed, air or fluid can build up in the middle ear and cause uncomfortable or painful ear pressure. Sometimes home remedies are enough to relieve ear pressure, so ear problems may need medical attention to avoid a more serious condition. If you are experiencing mild ear pressure, you may be able to relieve your symptoms by yawning or chewing gum (especially if the cause is due to environmental air pressure changes), applying a warm compress, or taking an over-the-counter decongestant. Seek medical attention if your ear pressure is more severe. 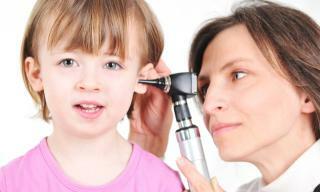 FastMed Urgent Care’s compassionate medical professionals can help you treat your ear pressure and prevent your condition from worsening. We accept most major forms of insurance, so quick and convenient care remains affordable. The FastMed Urgent Care mission is to serve our communities and patients with a high level of quality, personal care, affordable and convenient urgent care, family practice, and other specialty medicine services.